William Fitzsimmons is often compared to contemporaries Sufjan Stevens, Iron & Wine and the late Elliott Smith, not only for his style and skill in writing and proclivity to deal with substantive and evocative subject matter but also for his use of organic and colourful melodies and arrangements. "William Fitzsimmons is equal parts songwriter and psychotherapist, creating captivating music that uniquely melds depravity, honesty and autobiography into a counter-intuitive seamless whole. 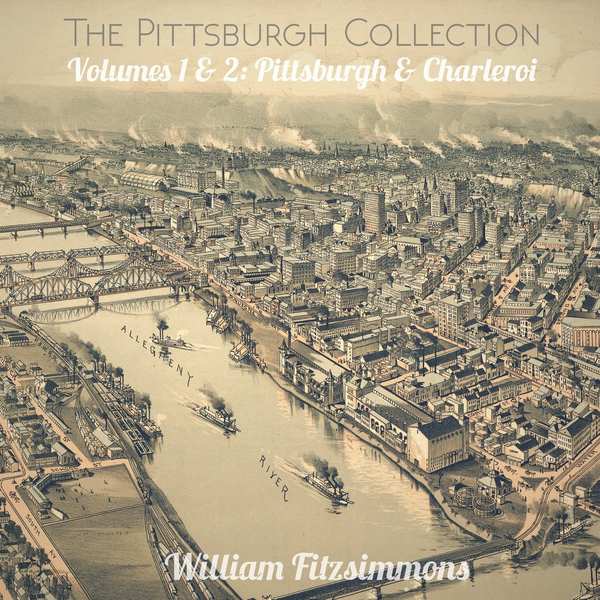 William Fitzsimmons’ newest album ‘Charleroi: Pittsburgh Volume 2’ is the second part of his ‘Pittsburgh’ story: “The ‘Pittsburgh’ album was about the grandmother I knew. ‘Charleroi’ is about the one I never did,” says William." The vinyl version includes the first ‘Pittsburgh’ mini album (previously available on CD only).